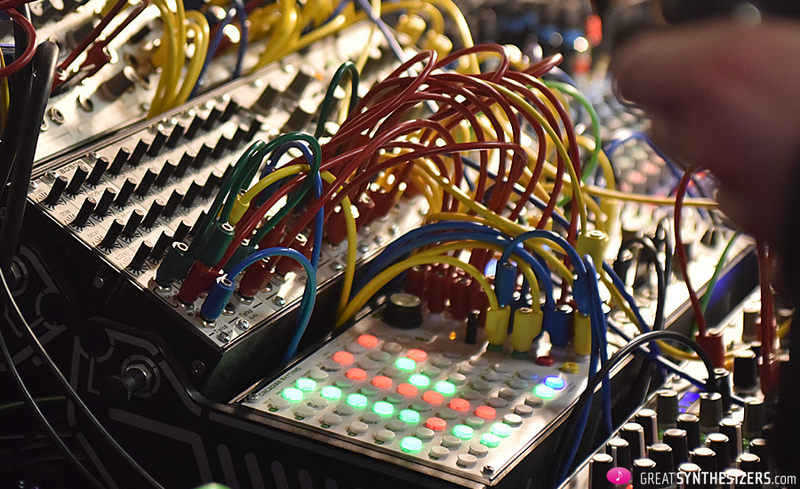 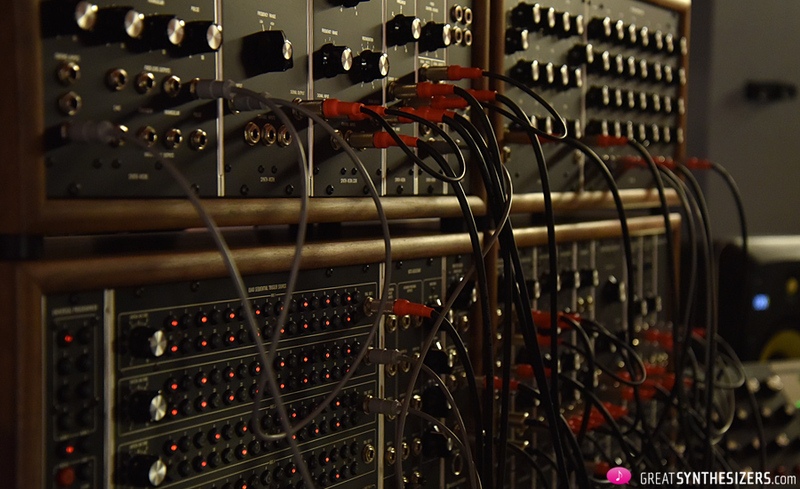 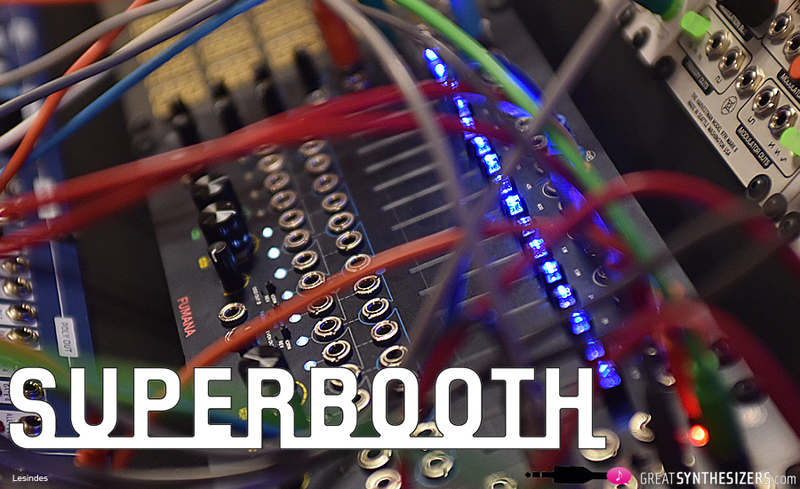 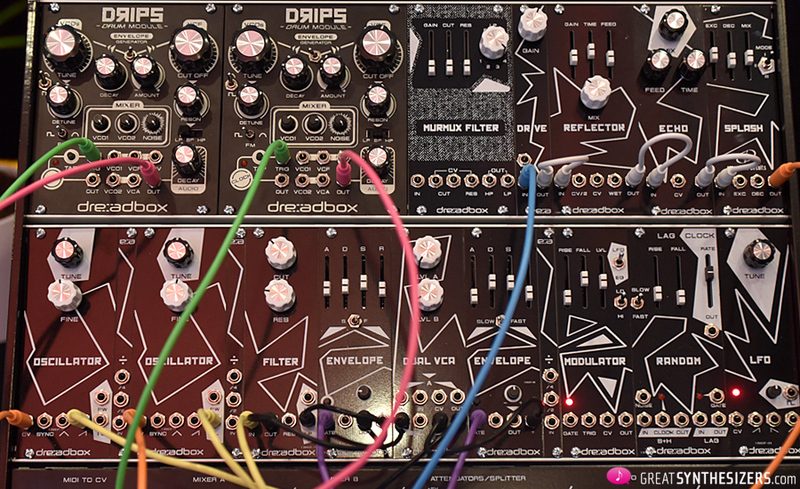 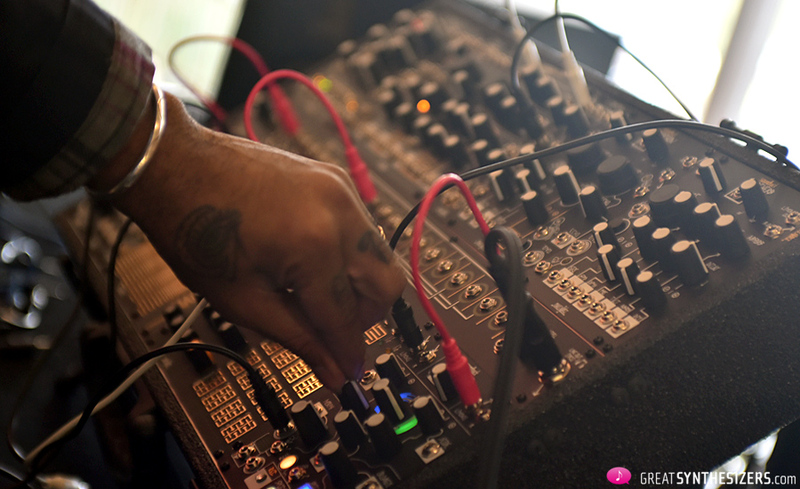 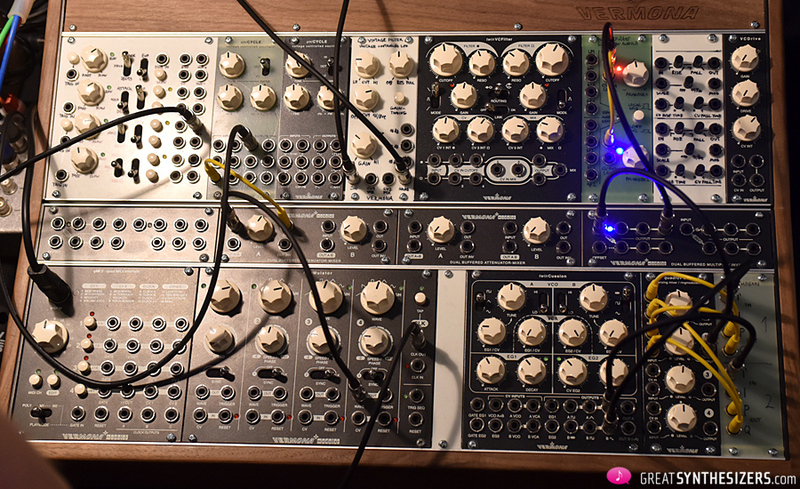 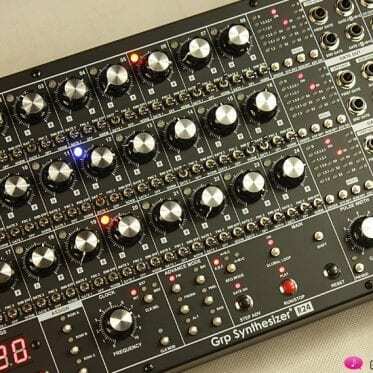 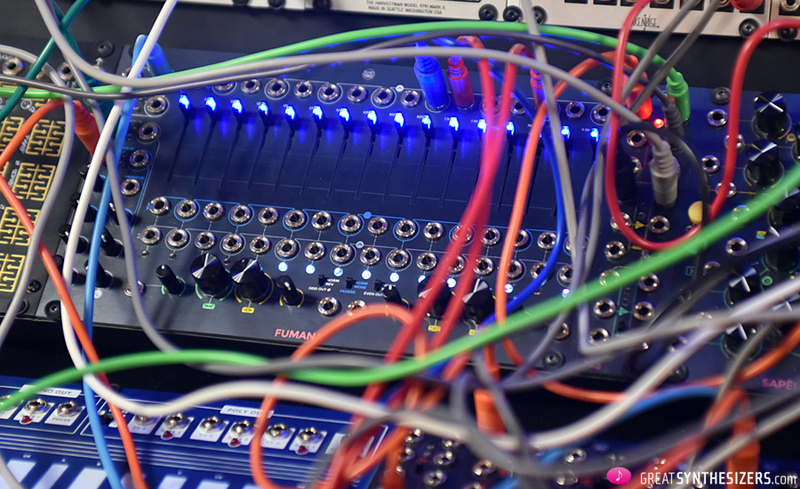 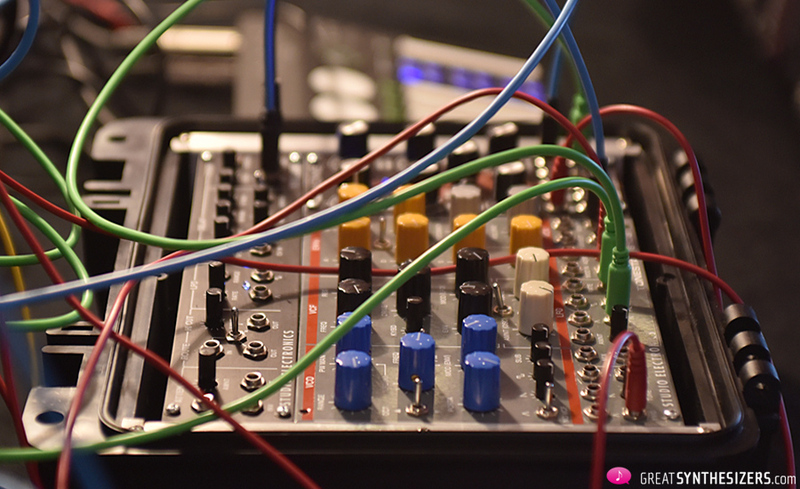 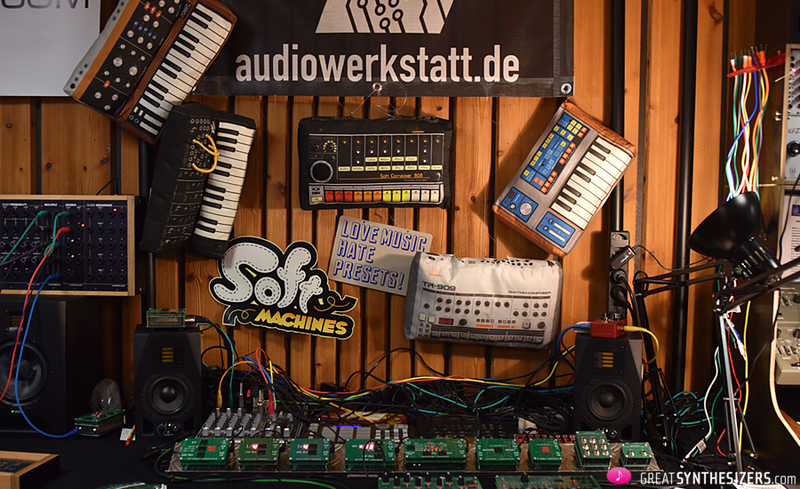 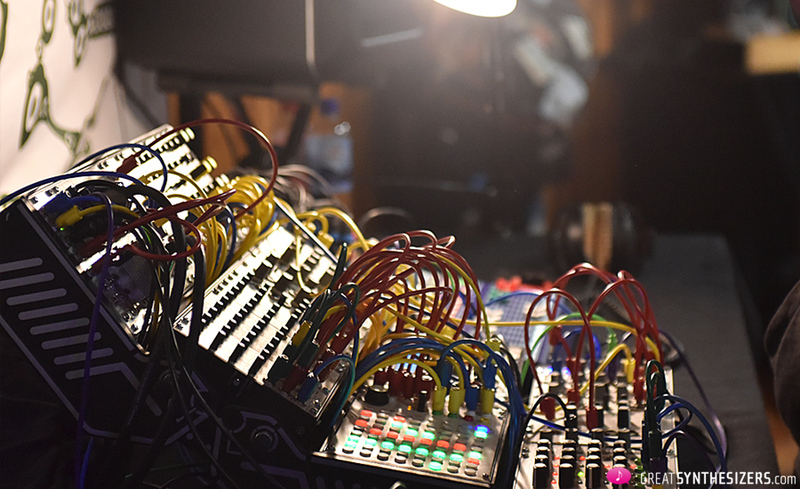 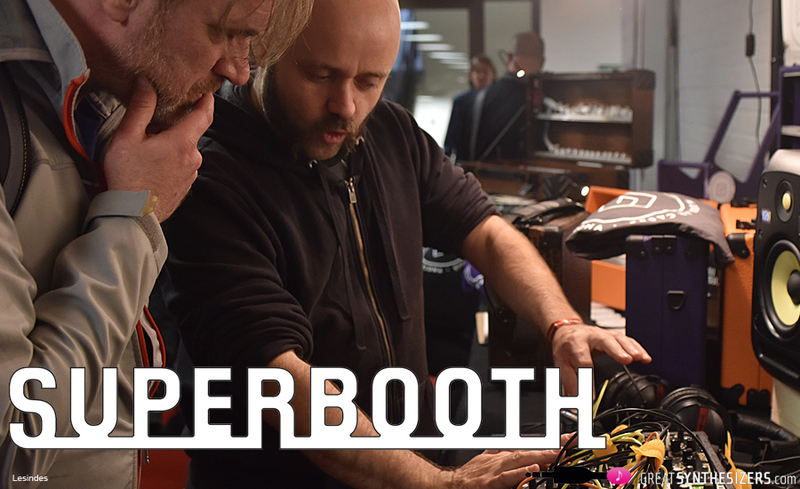 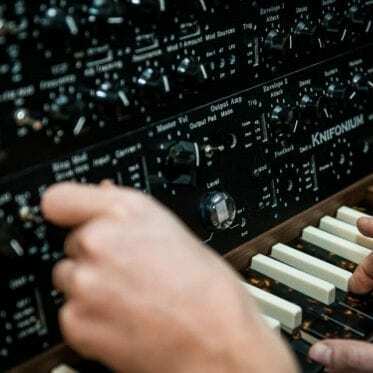 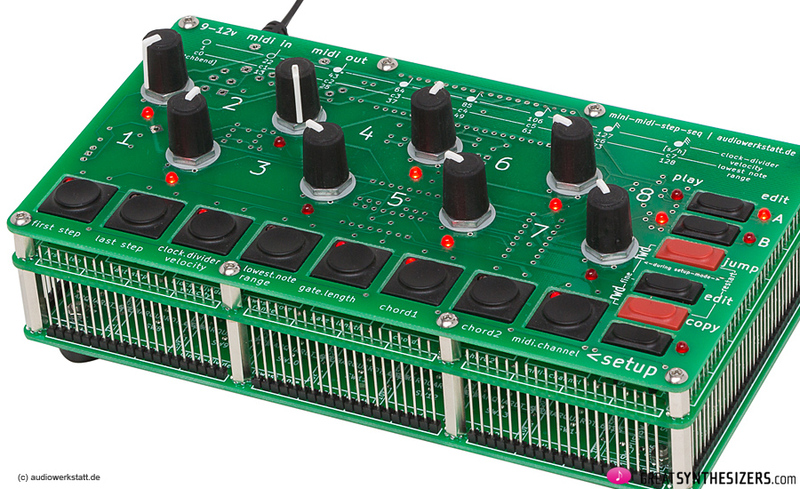 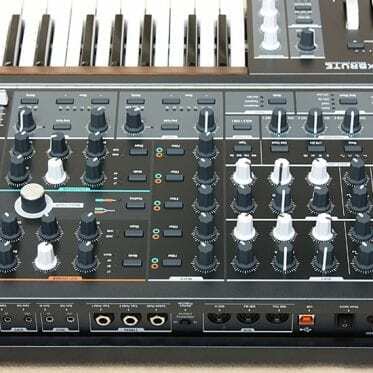 Our first installment was all about pre-wired electronics (synthesizers), but now we’re getting down to the nitty-gritty of our synthesizer-life: the very lifeline of SUPERBOOTH – modules, modules, modules. 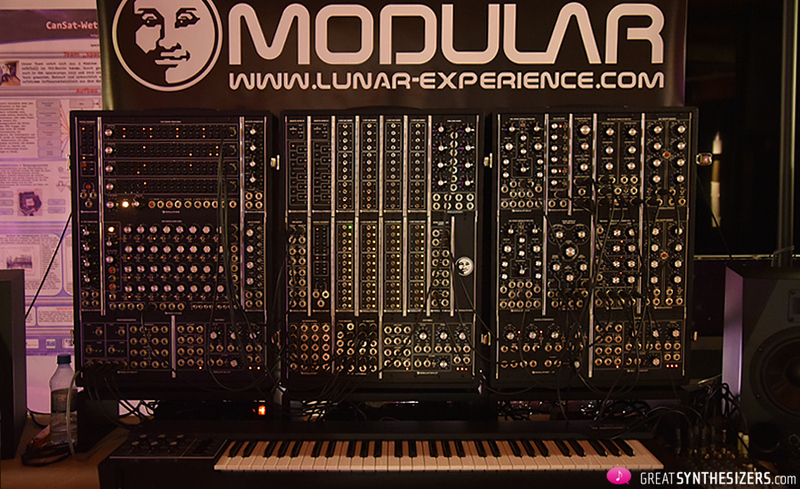 Without really counting, I would estimate that there were more modules present than visitors. 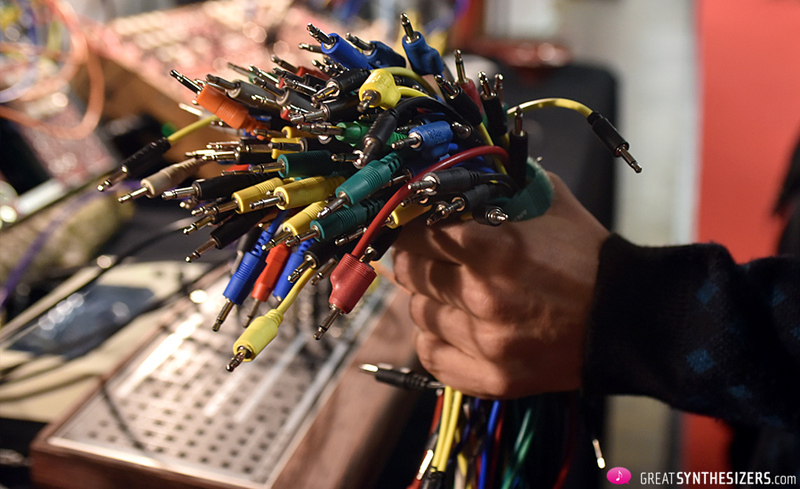 All those patch cables would certainly have been long enough to circle the earth. 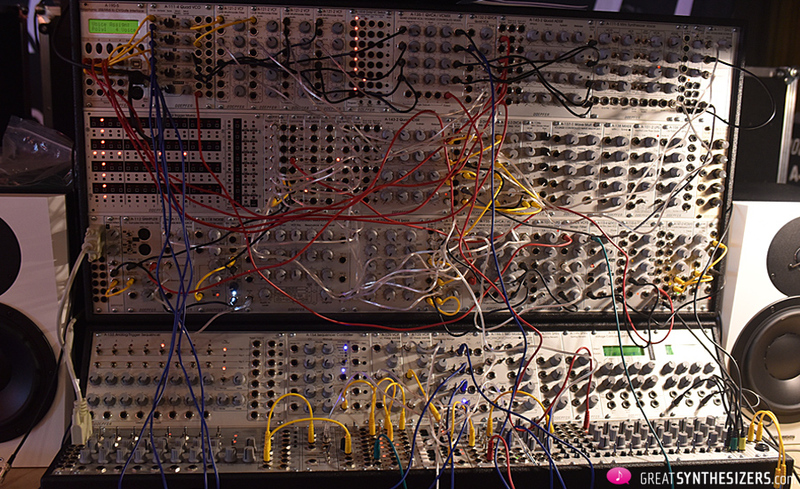 Am I exaggerating? 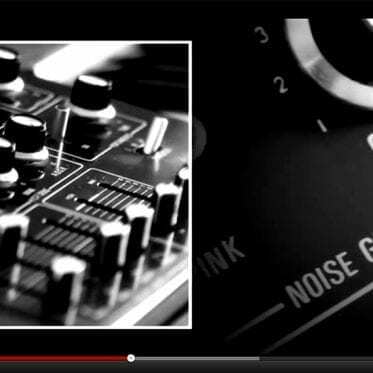 Well, maybe a little … Be that as it may, that’s the impression I got. 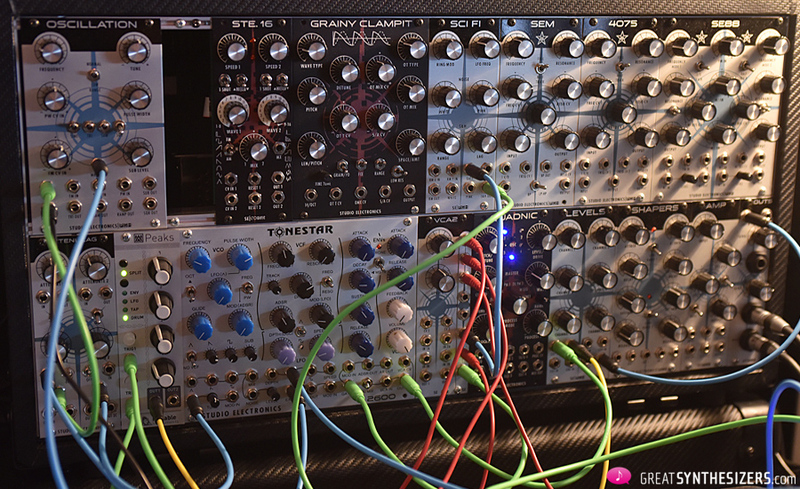 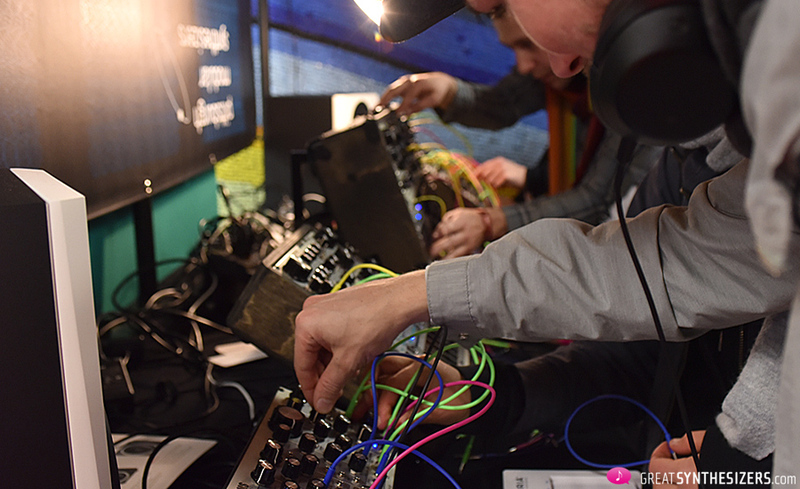 Eurorack-modules of any significance from every company were there (except from Korg and Yamaha). 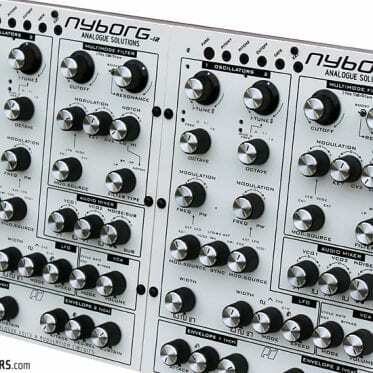 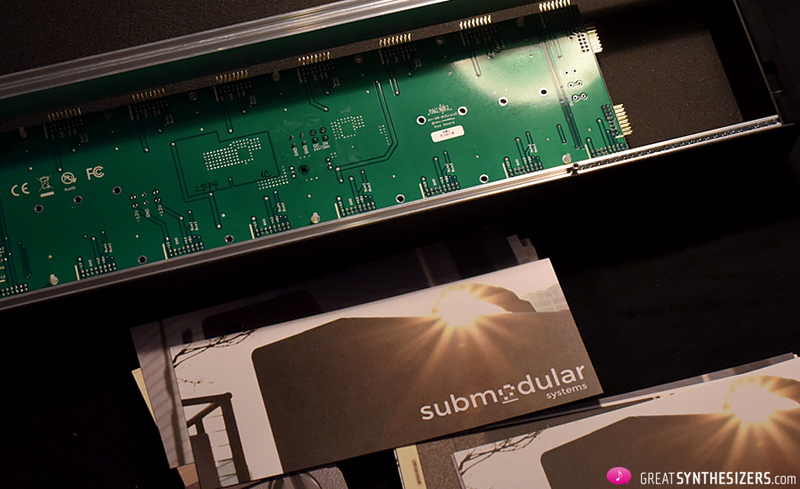 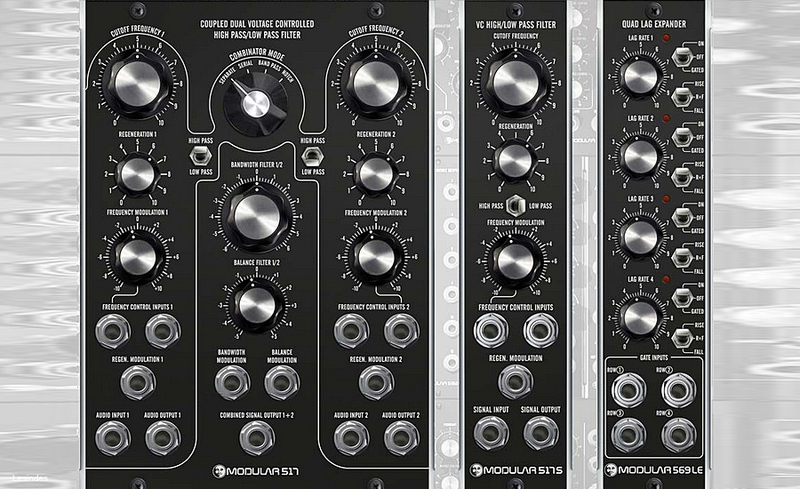 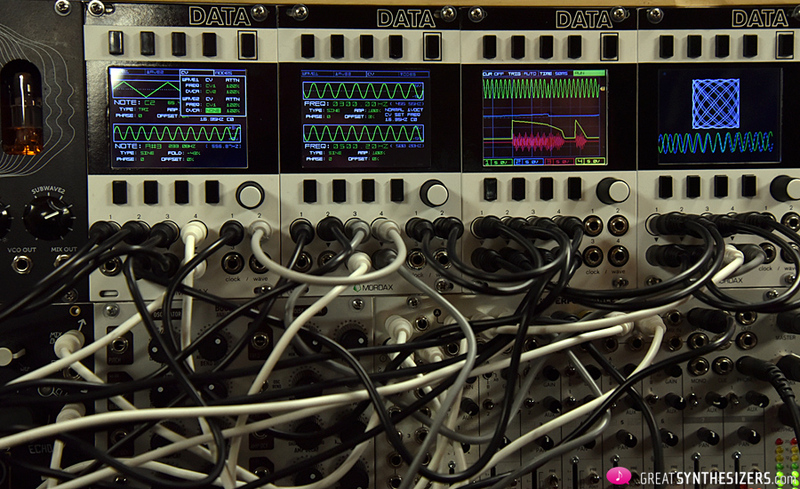 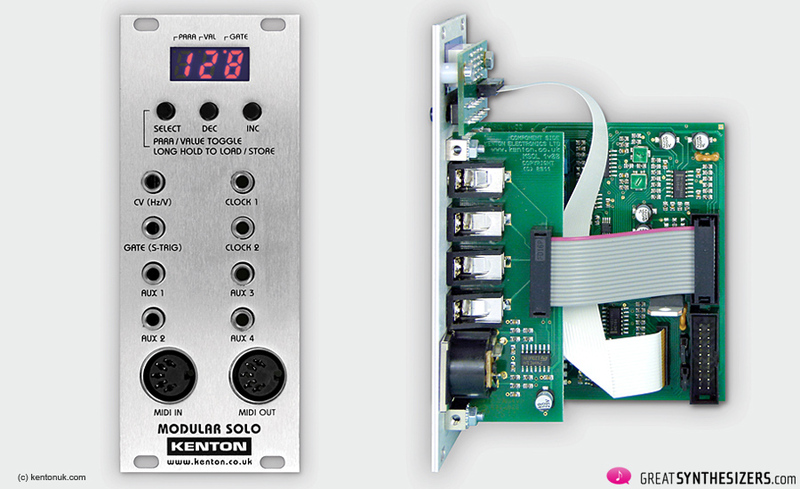 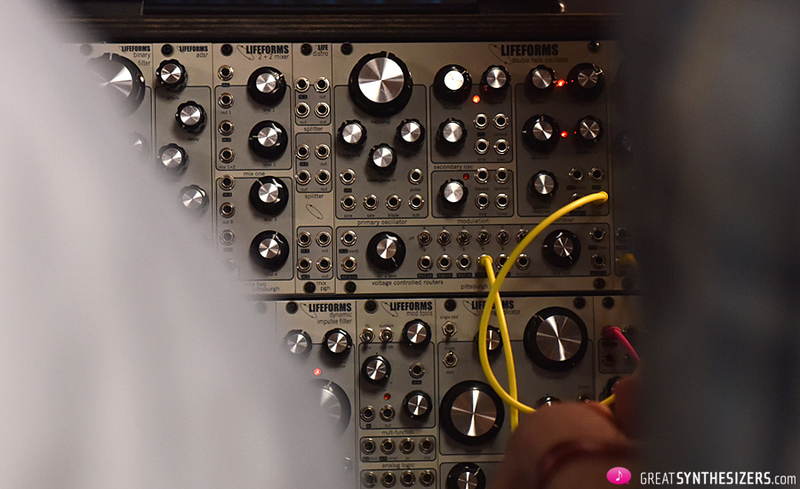 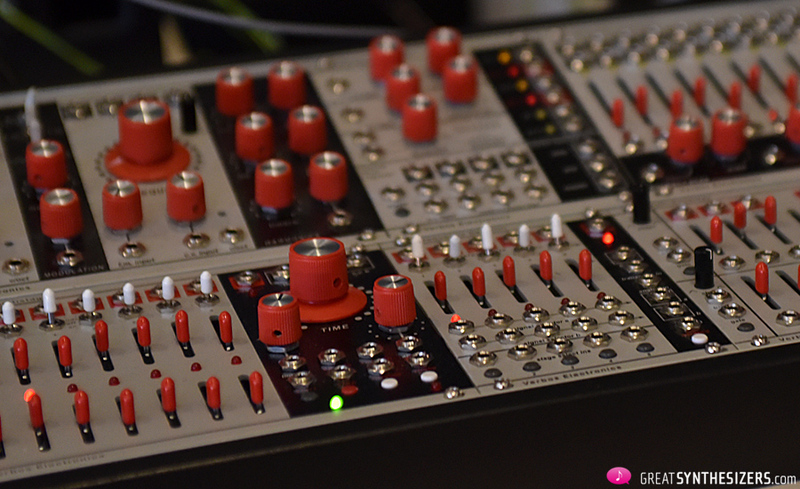 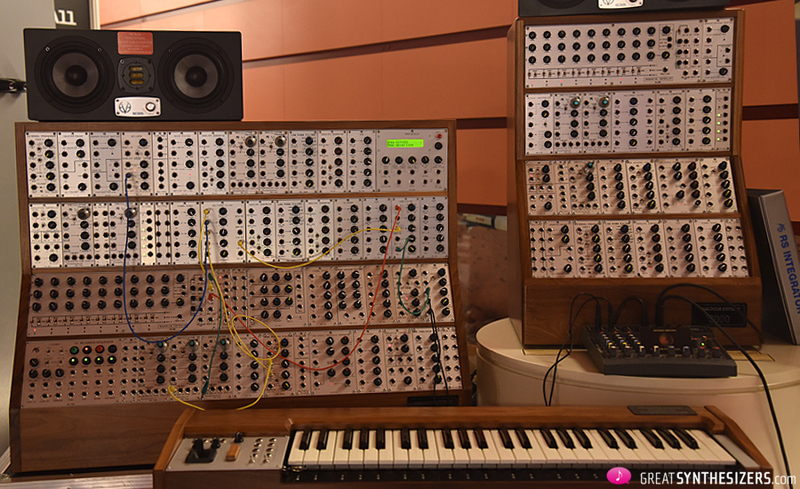 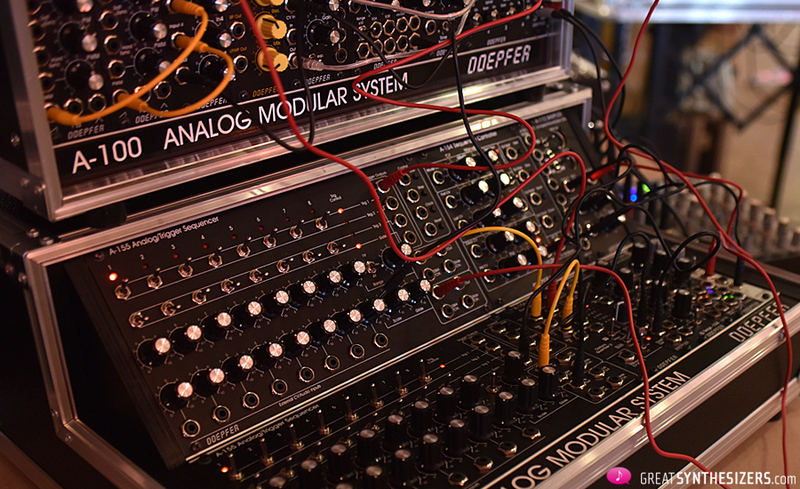 Many producers are on their way to being able to offer not only individual modules, but complete modular systems. 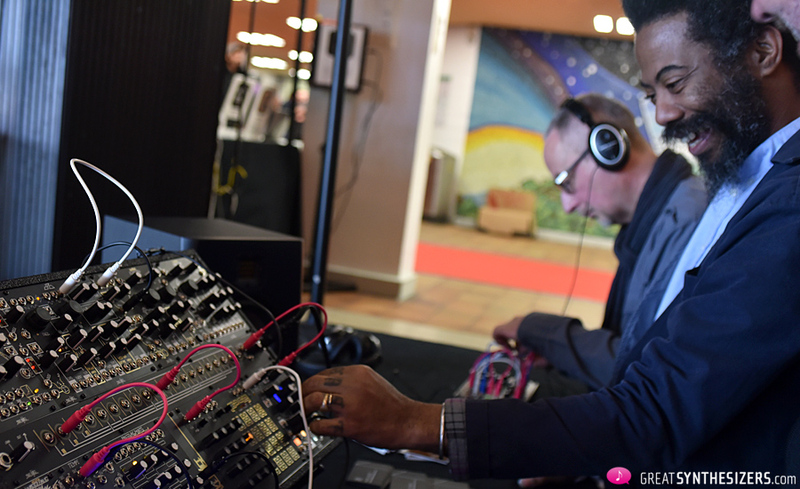 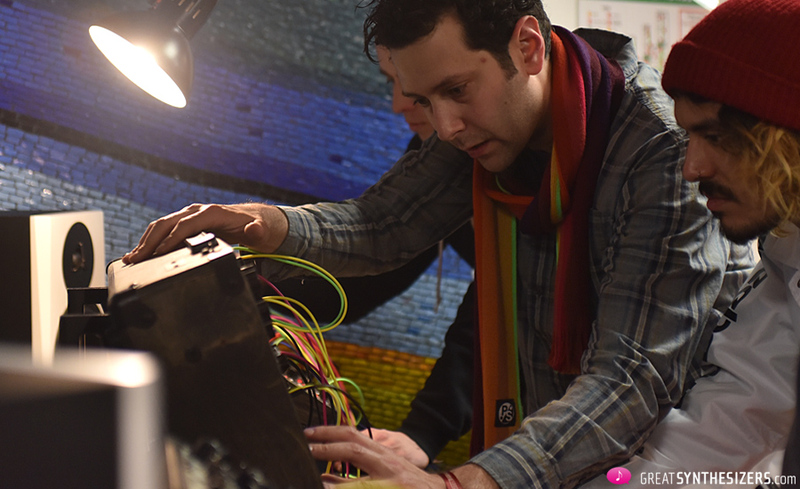 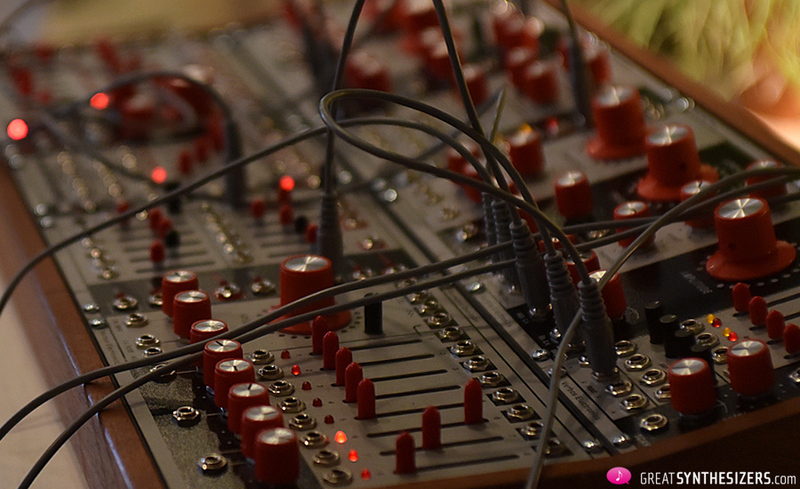 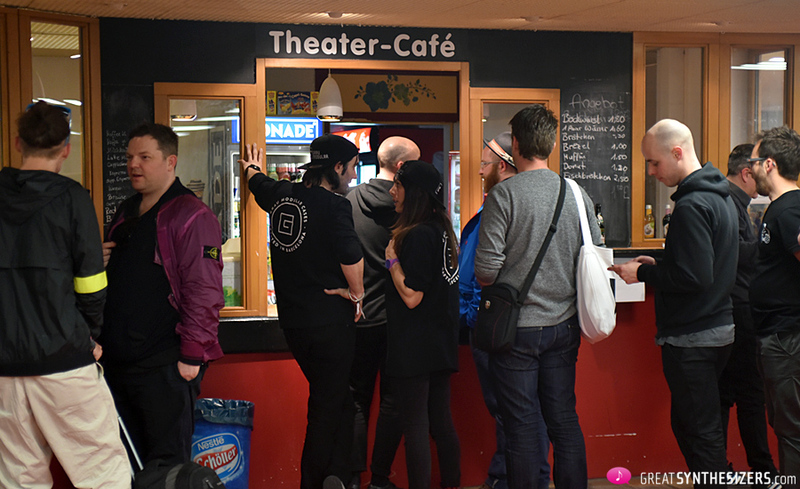 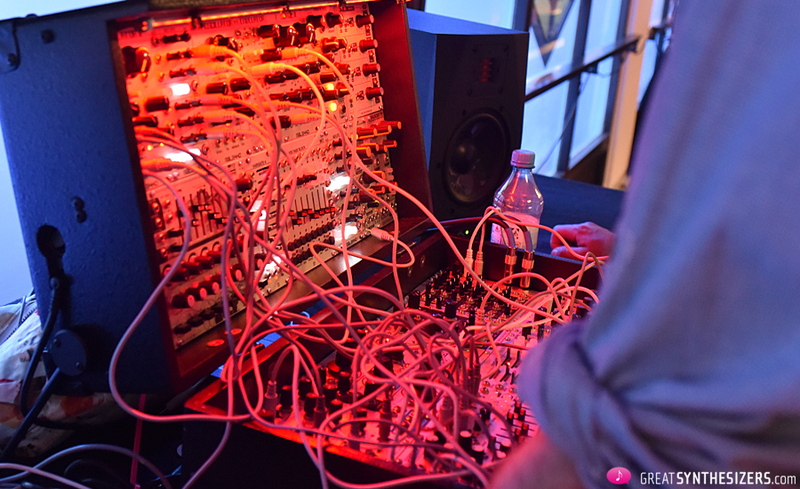 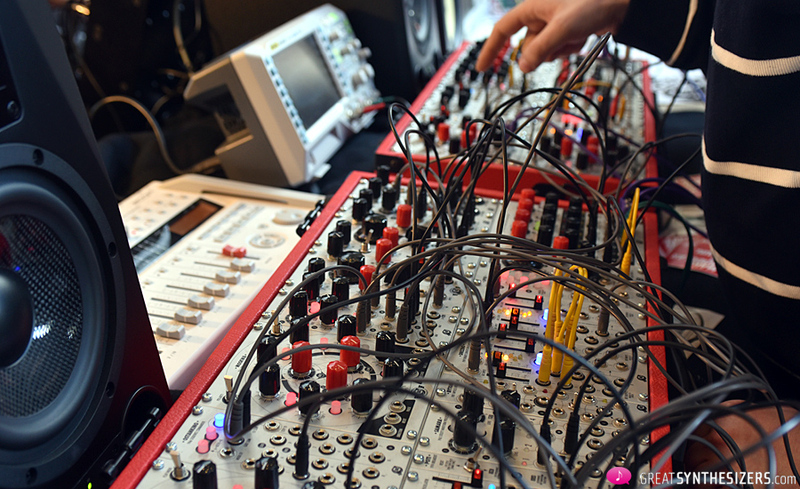 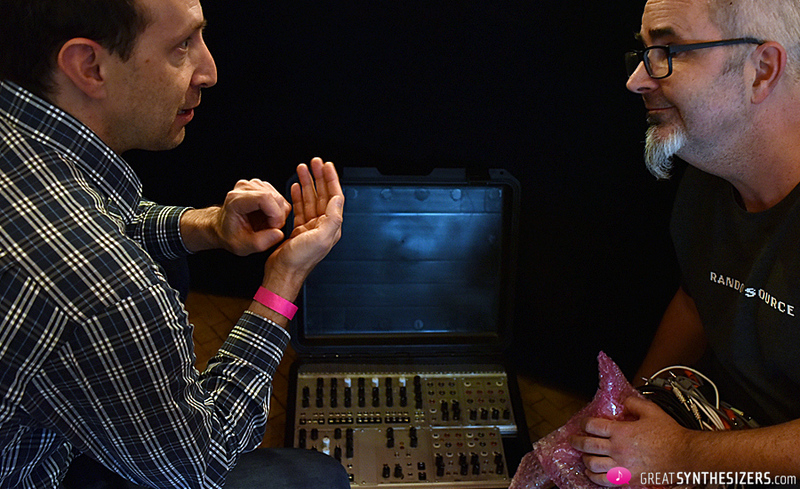 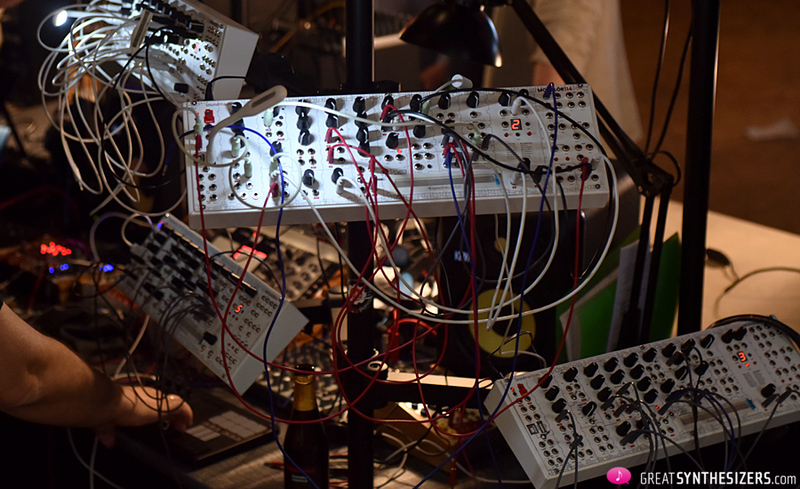 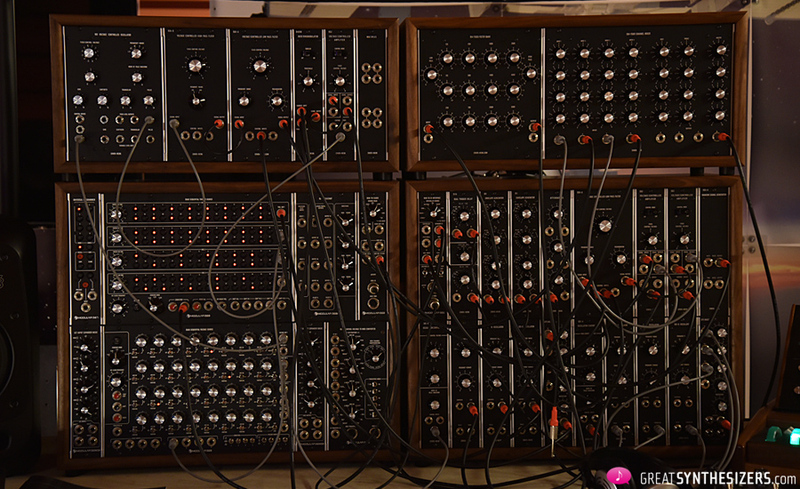 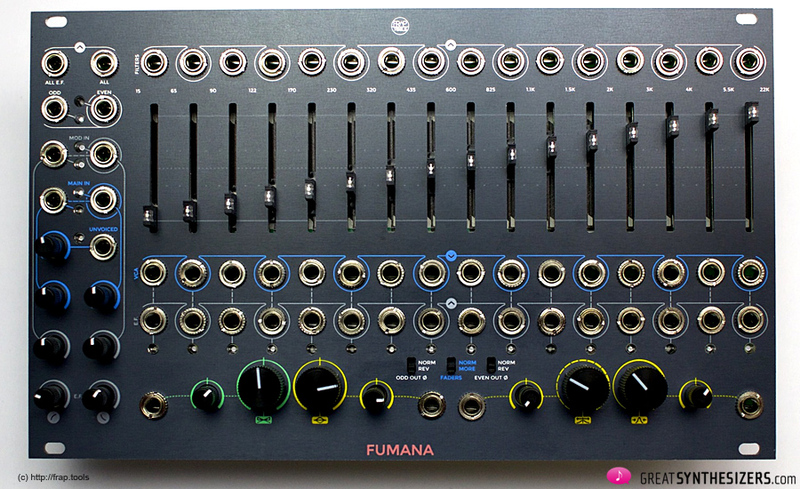 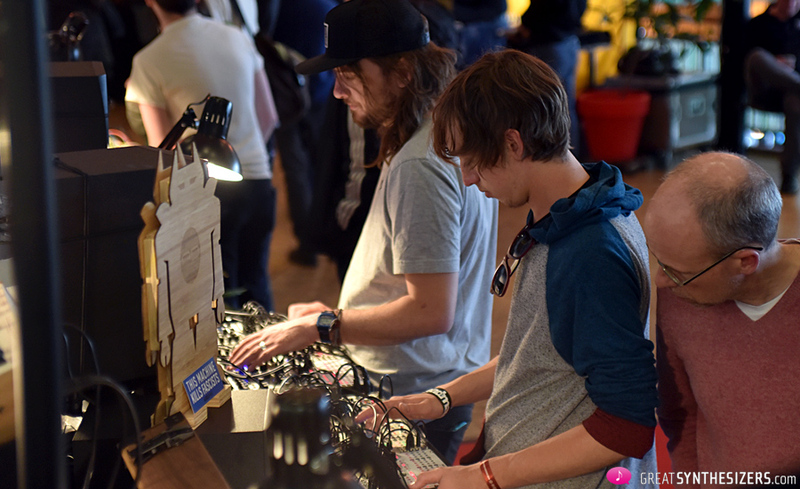 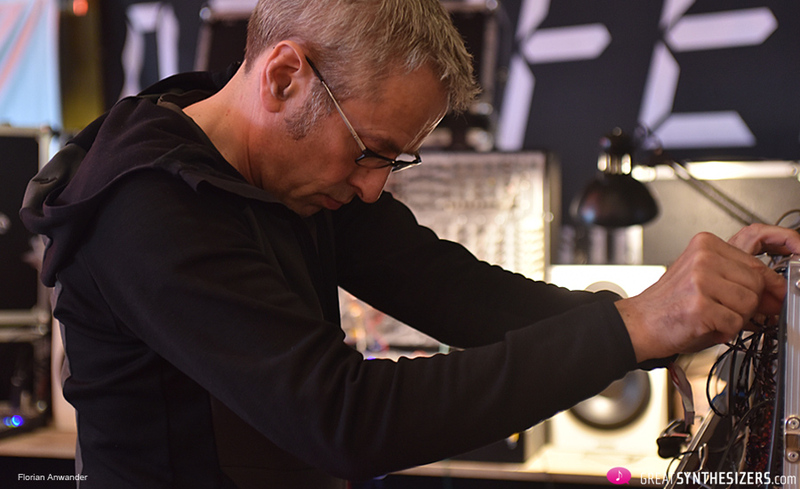 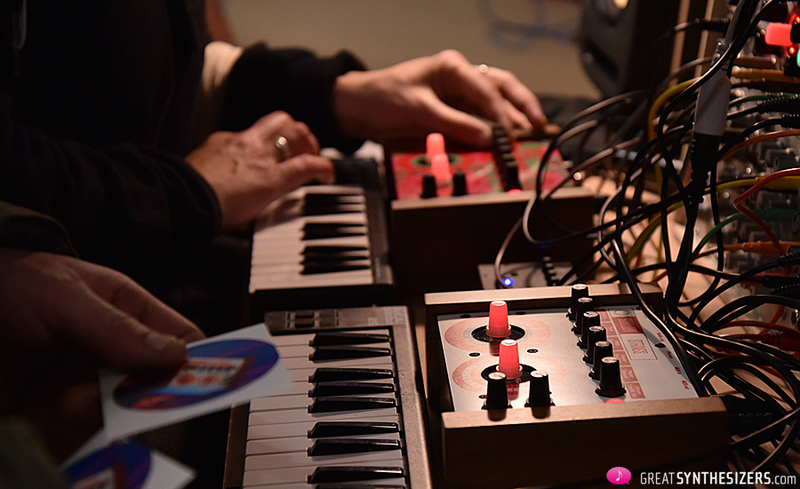 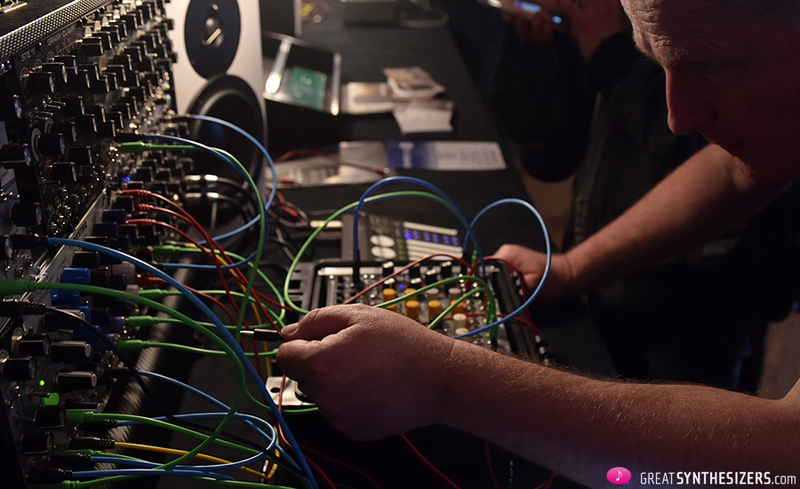 Which include of course Make Noise, Verbos, Malekko, Pittsburgh Modular, Erica Synths, TipTop, ADDAC, Waldor, etc. 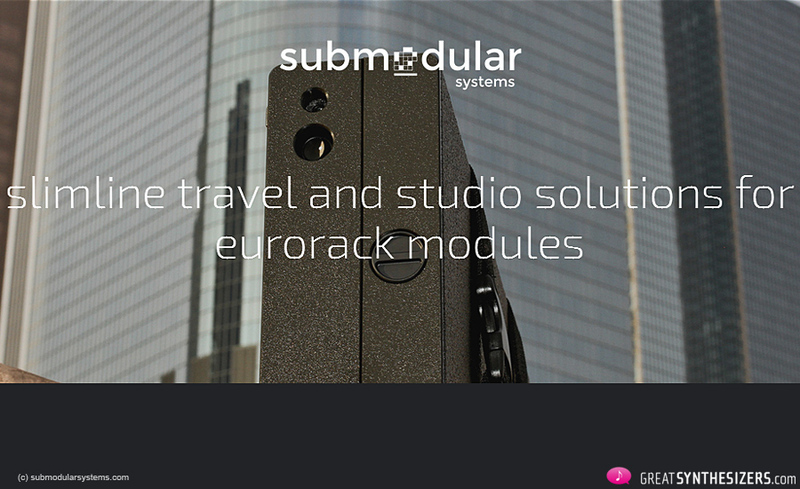 Studio Electronics and GRP and Radical Technologies are relatively new to the game. 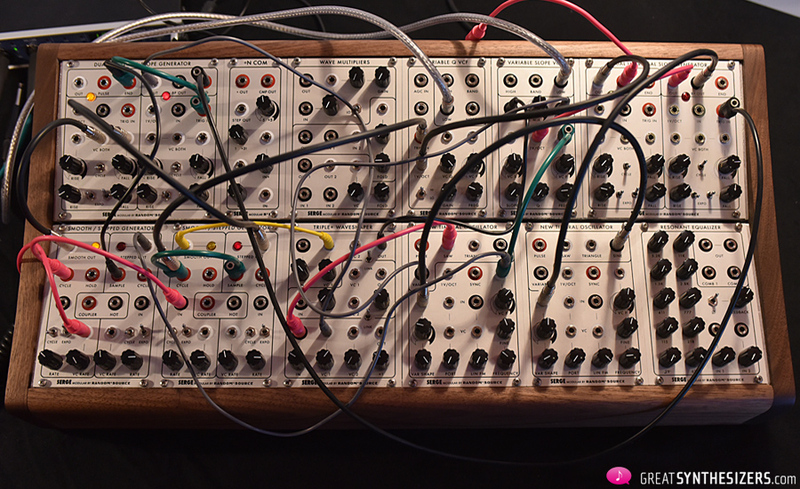 Let’s start with those modular classics. 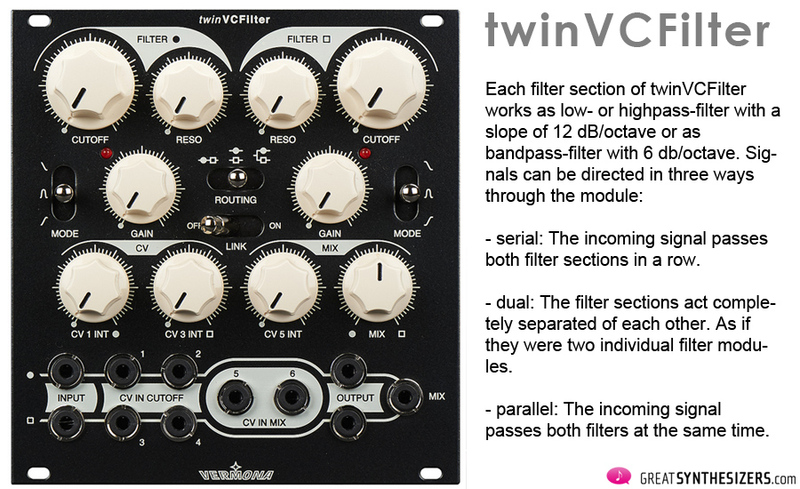 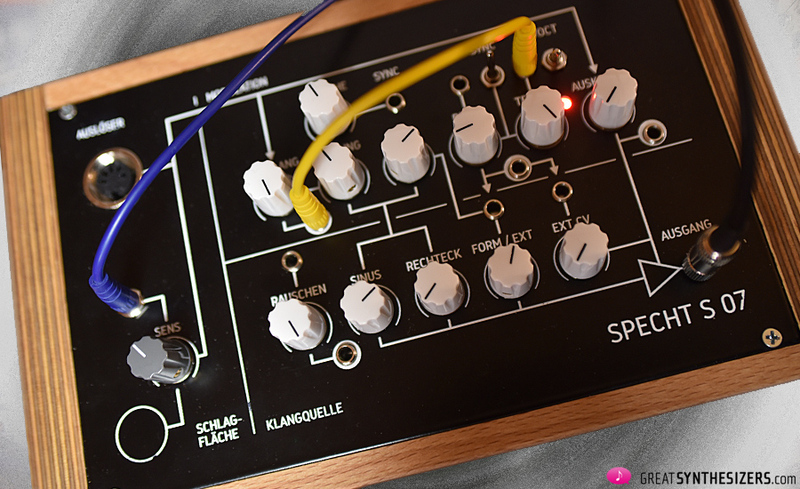 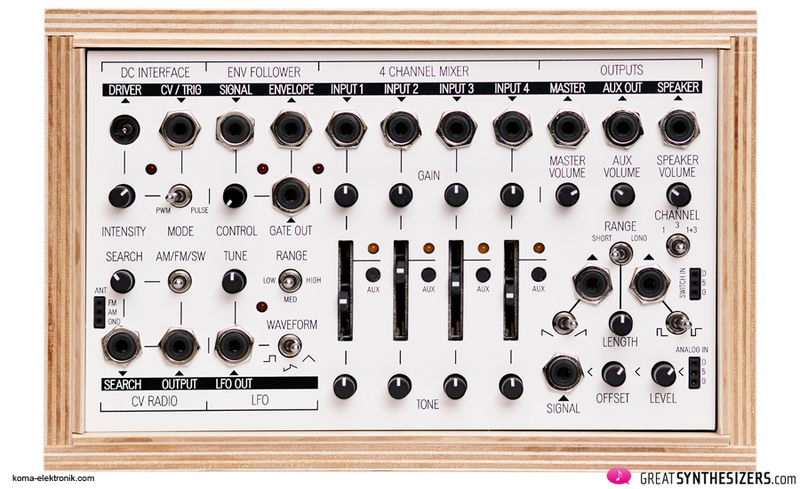 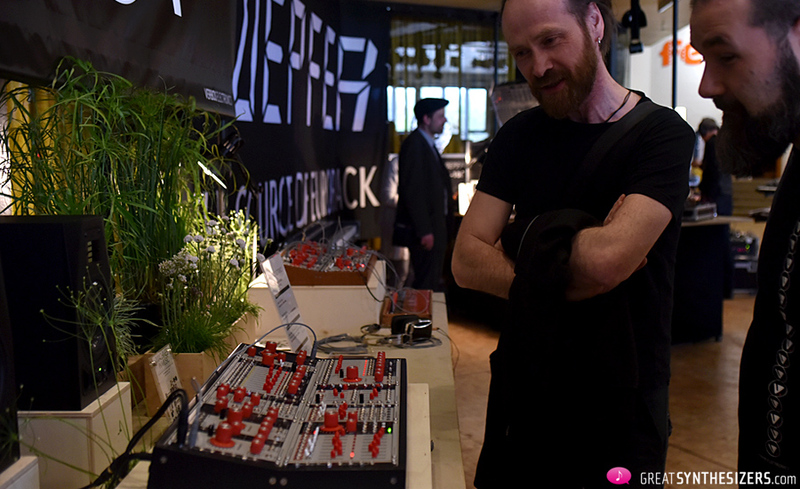 First of all, Doepfer, offering not only their silver-line modules, but also a vintage black design. 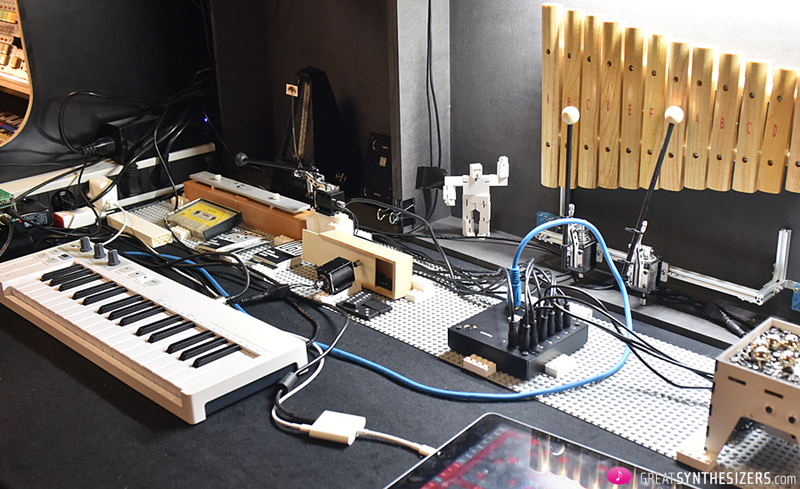 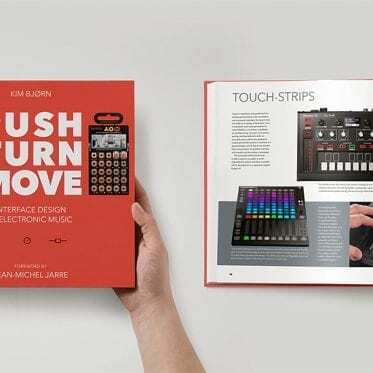 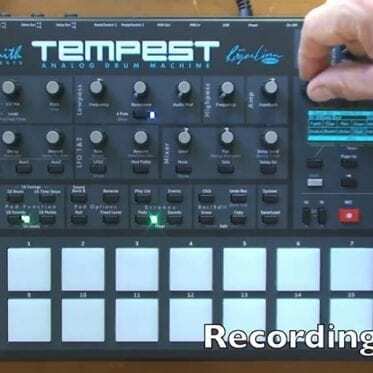 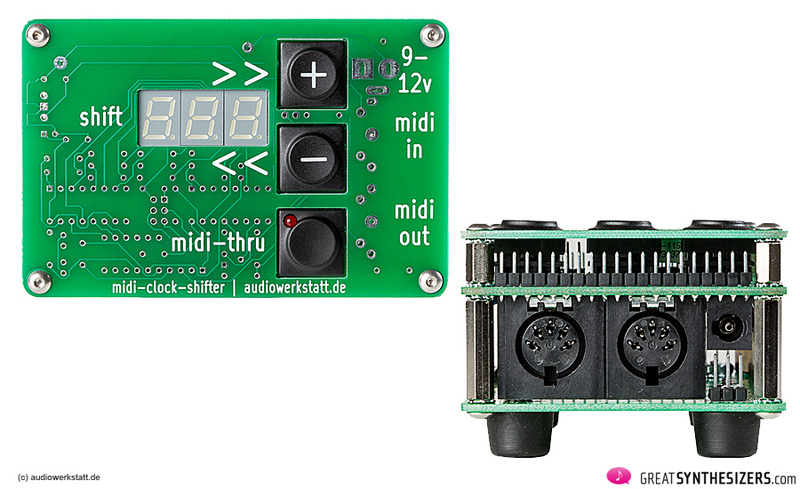 … although the instruments of Analogue-Systems are almost pocket-sized in comparison. 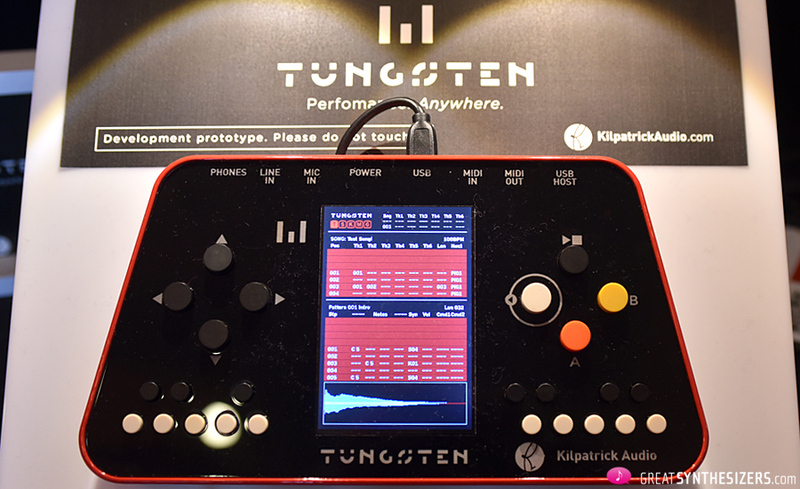 Some of the systems stood around, somewhat forsaken, but others stood in the limelight of attention – like the TipTop performance. 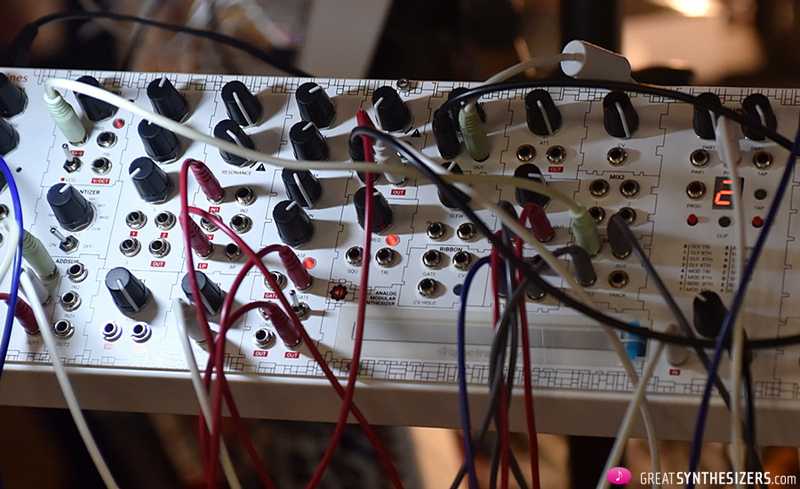 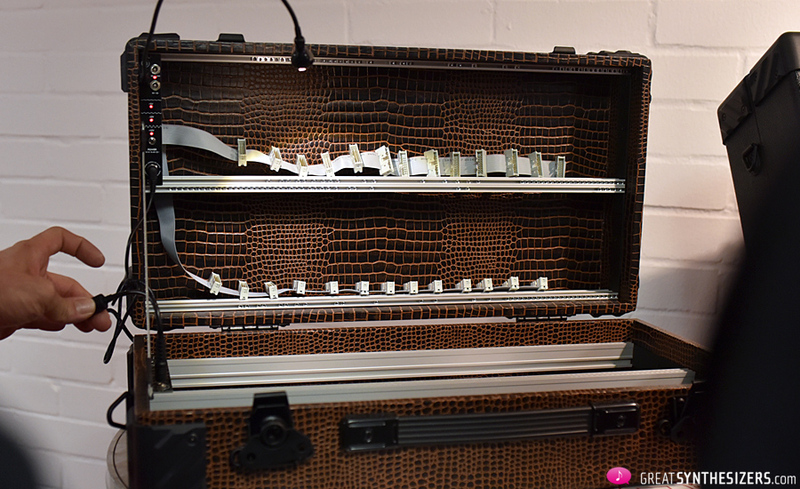 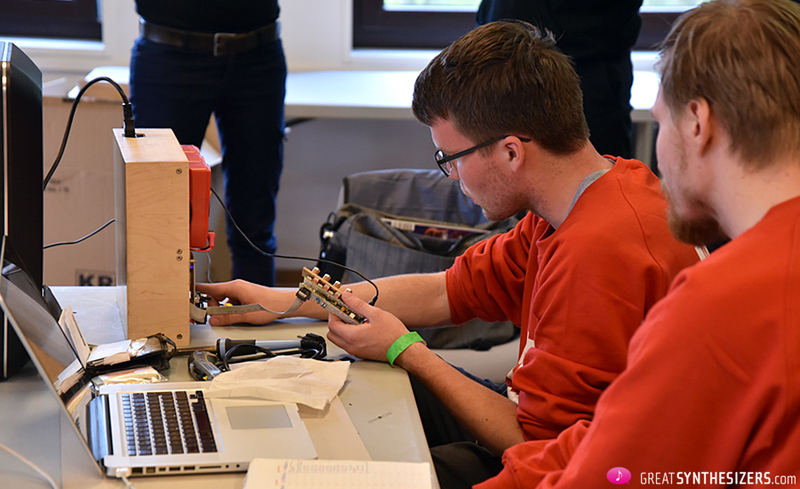 There was a lot of jostling in some of the modular cubbies. 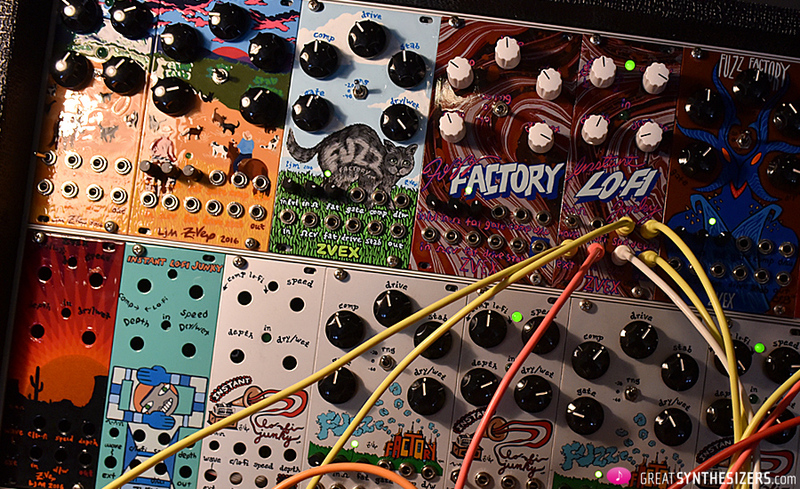 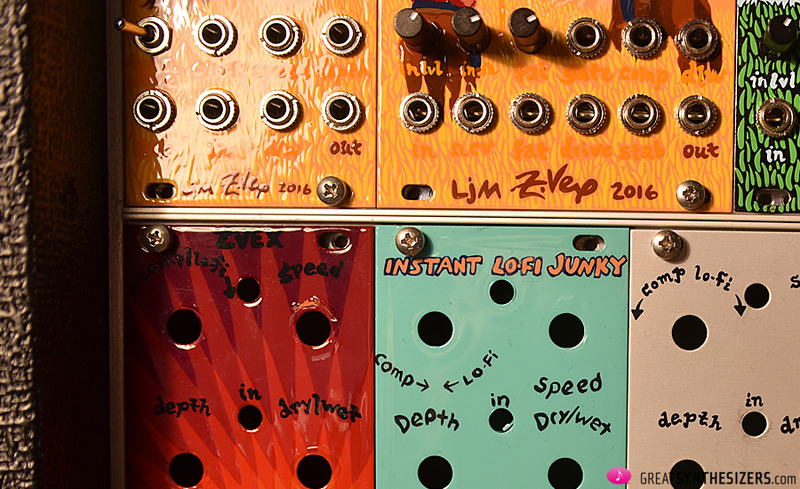 Studio Electronics modules have crazy names like wie Sci Fi, Grainy Clampit or Tone Star. 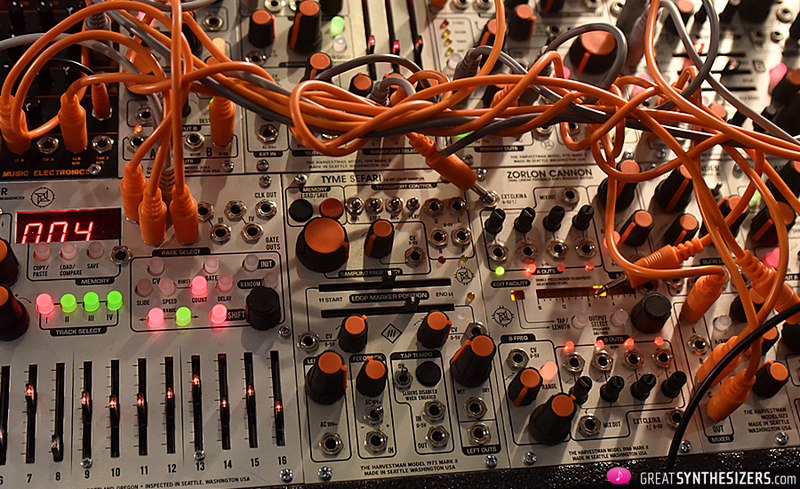 … and Harvestman, this time a little more delicate and in orange. 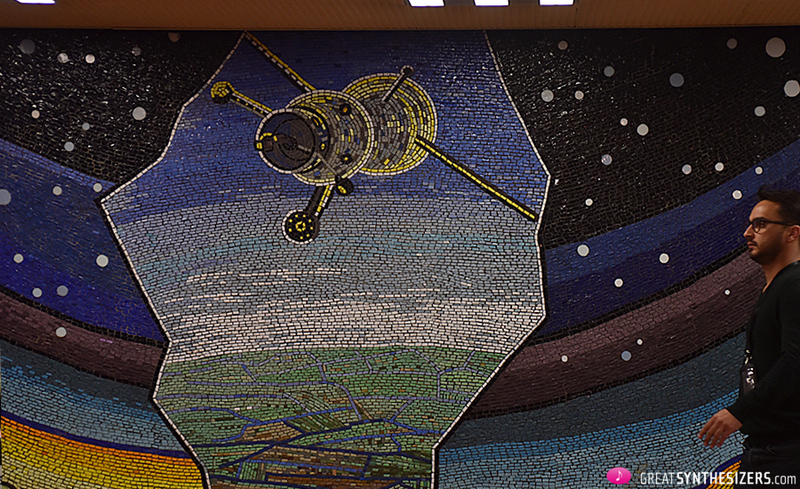 Have a look at the Sputnik-mosaic. 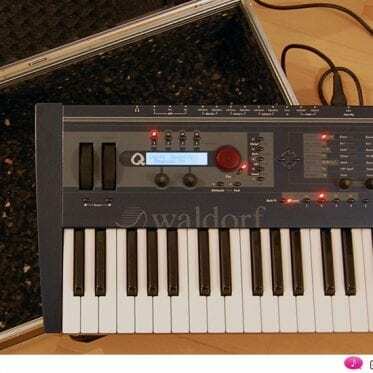 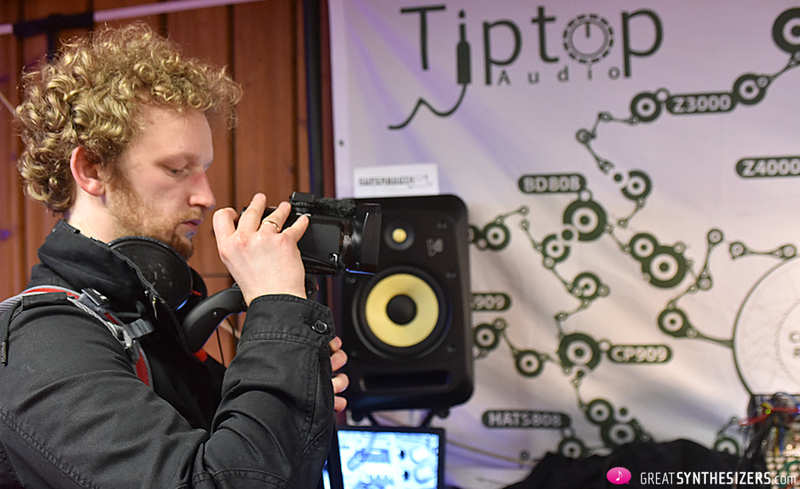 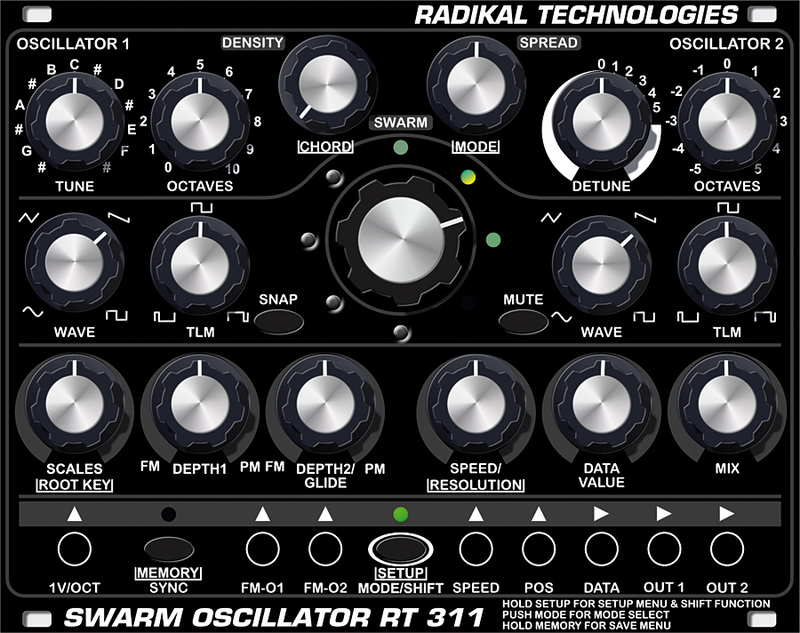 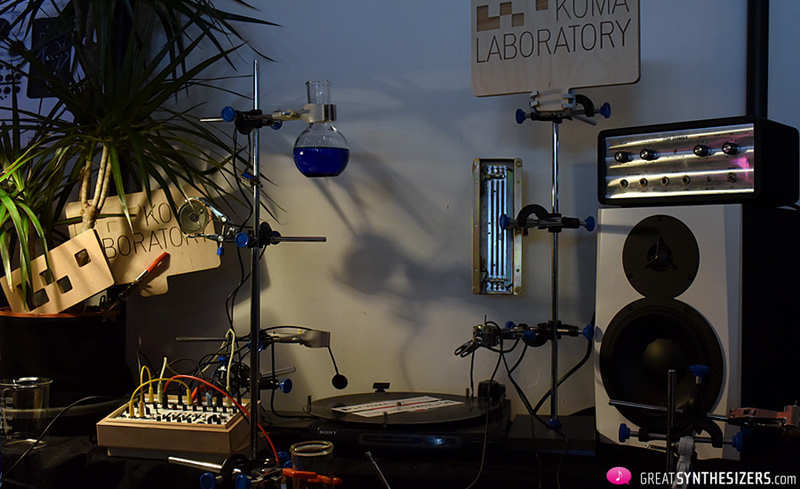 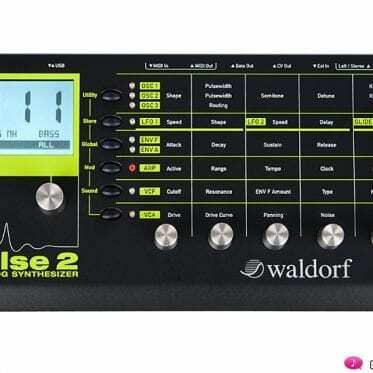 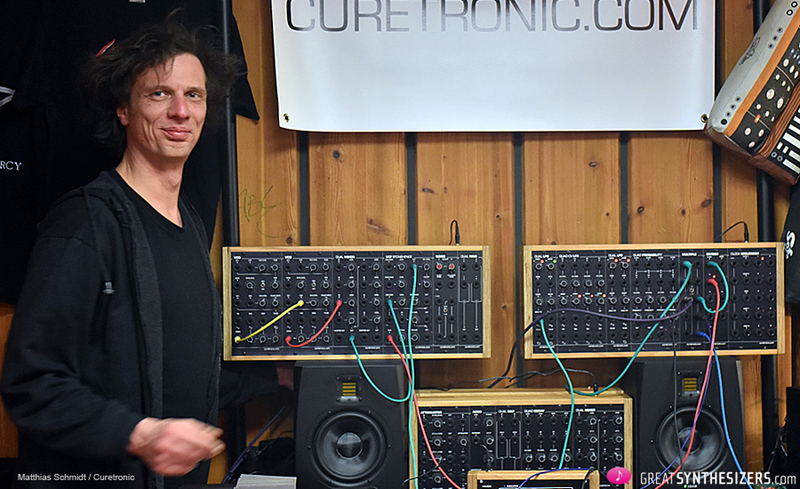 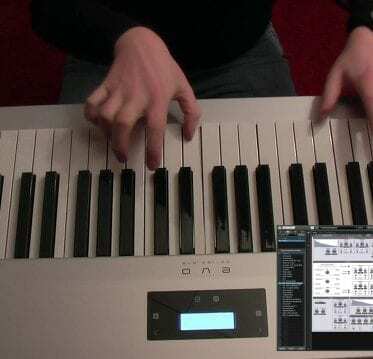 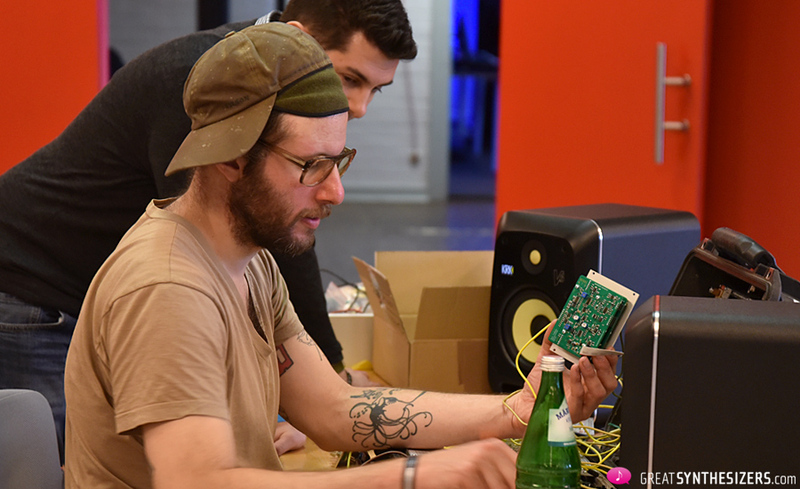 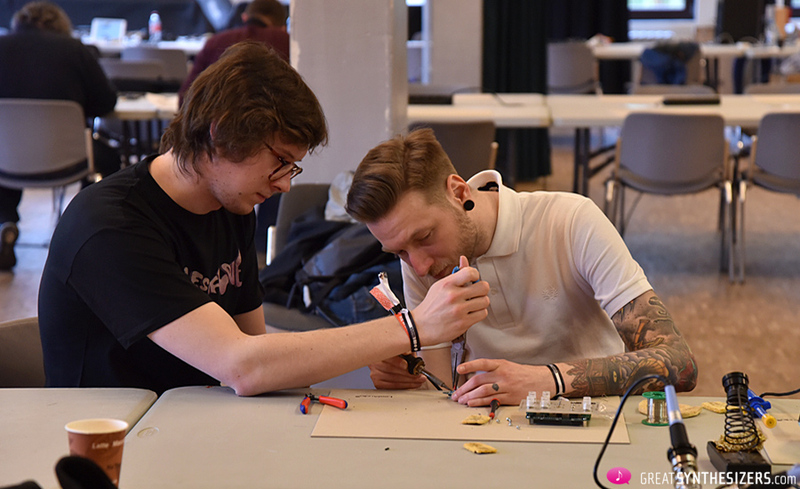 Next PostSE-02 Boutique: Roland goes Studio Electronics!